Sofa beds have remained one of the popular furniture items. Thanks to their dual functionality that has not only made them a convenient choice for many living in the villas, but also for those who are living in smaller homes and studio apartments. If you too are living in a compact apartment or a small abode where you often have to create extra space for a guest or friend to stay overnight, then sofa bed is what you need. Placing a sofa bed in the living room will serve both your needs. The sofa beds come in different styles and sizes depending on various requirements. The best idea is to measure the available space in the intended room and then get the sofa bed, which best meet your requirements. According to AmerAdnan®, buying a sofa bed may seem like a walk in the park, but in reality things are different. Considering the range of designs, sizes, functionalities, mechanisms and price options available in the market. The pullout sofa beds look just like a standard sofa, however, they are made of a metal frame that is hidden into their seating area. After removing the seat cushions, the pullout sofa beds can be easily converted into a sturdy bedframe. Besides, they can be folded back into their original shape in a few seconds. The pullout sofa beds serve as fully functional bed with ample support and comfort. They also serve as an excellent couch to rest upon during the day. The futon sofa beds are manufactured in many styles, but the expert interior decorators in Pakistan like AmerAdnan® suggest people to opt for simple futon sofa beds instead of looking for intricate designs. The futon sofa beds are either made of a metal or wooden frame that is fitted with a click-clack mechanism for extremely convenient transformation from bed into a sofa and back. These sofas are excellent choice for studio apartments as well as smaller homes because they aid you save a lot of space. Their affordability also makes them a preferred choice among various homeowners. 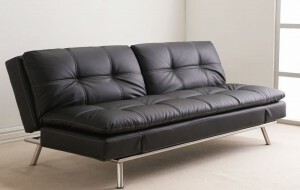 These are the simplest and most commonly purchased kind of sofa beds. The click-clack sofa beds provide an extremely simple mechanism. They are used for multiple purposes. 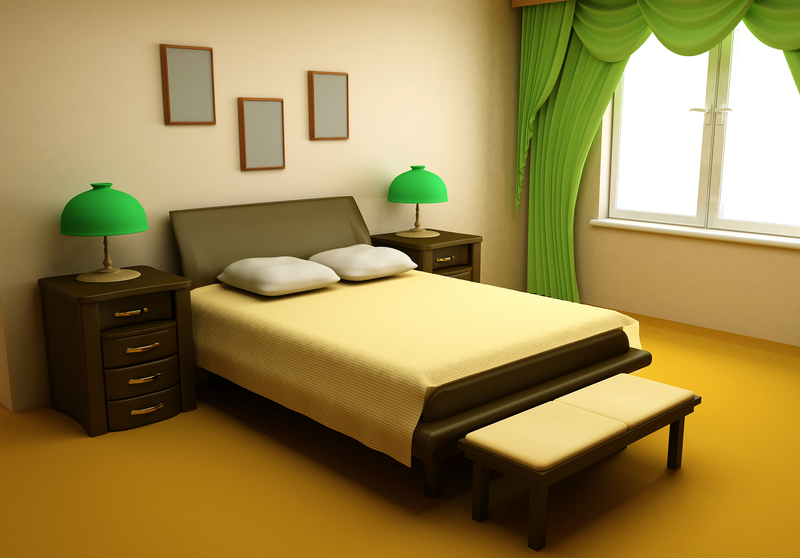 They are to be placed away from the wall because they require a bit of space to unfold and transform into a cozy big bed. The click-clack sofas offer a really good night’s sleep and can be placed in bedrooms, lounges or even in the guest rooms. They are upholstered out of leather as well as fabric, depending on your requirements. Apart from the three most popular sofa beds mentioned above, you can find corner sofa beds too, but they take up a lot of space and are more suitable for bigger homes. While you are on a mission to choosing the best sofa bed for your home, make sure to take professional guidance from an expert interior decorator in Lahore. They can help you make sure that your hard-earned money never goes in vain.